Naturopathic medicine believes that natural healing system is an innate property of human body. It emphasize on the cause of the disease rather than suppressing its symptoms.Naturopathy uses homeopathy, herbal medicines, acupuncture, massage, hydrotherapy, dietary modifications and lifestyle counseling to achieve proper healing. Orthomolecular medicine or vitamin therapy uses minerals, vitamins and amino acids in belief that diet available today is insufficient in providing the required nutrients. The need of certain vitamins is highly individual. There are enormous benefits of vitamin therapy and is used for curing schizophrenia, cancer, hypertension and depression. Various forms of energy therapies like body work, massage therapy, aromatherapy, reflexology and hydrotherapy covers vast range alternative medicine modalities. How alternative medicine therapy is different from allopathic medication? Homeopathy is used as a first-aid in the treatment of chronic diseases while conventional medicine is generally preferred in the treatment of emergency and trauma. Basically conventional medicine is organ specific that’s why specialized physicians and surgeons are available for the treatment of various organs of a body such as ophthalmologists, neurologists, cardiologists, nephrologists, etc.While approach used by alternative medicine is purely individual and holistic. Conventional medicine just focuses on the treatment of symptoms but do not emphasize on the cause while alternative medicine strive to treat and find the cause of a disorder and its prevention. Conventional medicine involves surgery, radiation, chemotherapy and pharmaceutical drugs. 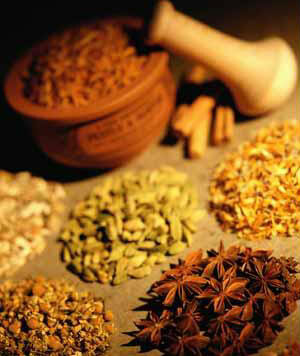 Alternative medicines are natural therapies, time tested and hands-on treatments. Conventional treatment believes in aggressive instant cure while alternative medicine therapy believes in long-term gentle treatment using body’s innate healing powers. Practitioners of conventional treatment are properly guided by the College of Physicians and Surgeons while practitioners of alternative medicine treat each patient as a separate individual and they do what they think is best suited to a patient rather than considering general rules of a medical book. Conventional medicine does not allow patients to ask so many questions rather this form of treatment requires a passive attitude of a patient. Alternative medicine requires an active participation of a patient in both treatment and prevention. We have a team of expert dissertation consultant . They provide a high quality content to the customers. Our writers are proficient in the field of dissertations. We help you get acknowledgement from your professors.